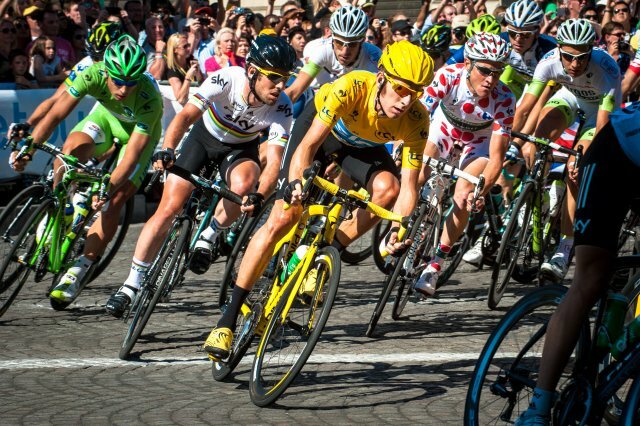 Fans of the Tour de France can now follow the race online and on television and track cycling performance of all 198 competitors in real time, thanks to GPS tracking technology fed to a website from the sensors fitted underneath the saddles. Data such as the speed of the rider, road positions, and proximity to other competitors are conveyed with the help of the tracking system. While this type of intimate data is usually preserved for teams to gain private access to it in the future, according to Dimension Data executive chairman, Jeremy Ord, the GPS technology for Tour de France will enable fans and cyclists to follow the race in ways they have not done so before. The ability to follow riders and getting their information will make it easier for fans to understand what is happening beyond the scenes they take in at the races. During the three-week duration of the event, more people can keep track cycling performance of the participants, such as their speeds and other data, thanks to live tracking websites provided for by the tour organizers. Through the newly developed analytics platform that processed information in real time, fans and journalists alike can gain access to the historical data and performance of each of the rider over the three-week tour. This could help in the race analysis as well as the role of each rider to his team. This can then support the importance of the role of the sport with its top-notch development. Because of GPS and its features, it will now be easier to understand how to prepare for a sprint, finish within a few kilometers of the stage, and understand the impact of the wind on a rider’s speed, among others. Or learn more about our 3G GPS bike tracking devices.